Skaters glided with grace and skill across the ice Thursday evening at the spring ice skating show at the Chapman Hill Ice Rink. The program has seen growth in recent years, despite the lack of year-round ice in Durango that can make retention tough, coaches said. “The spring show has got a really good turnout,” said Meghan Wells, who runs the figure skating program for the city. The performances showcased the skills of 17 skaters honed through the city’s Parks and Recreation Department program that runs from October through April. In the summer, the rink is used for roller skating and that can make it tough for ice skaters with serious aspirations. 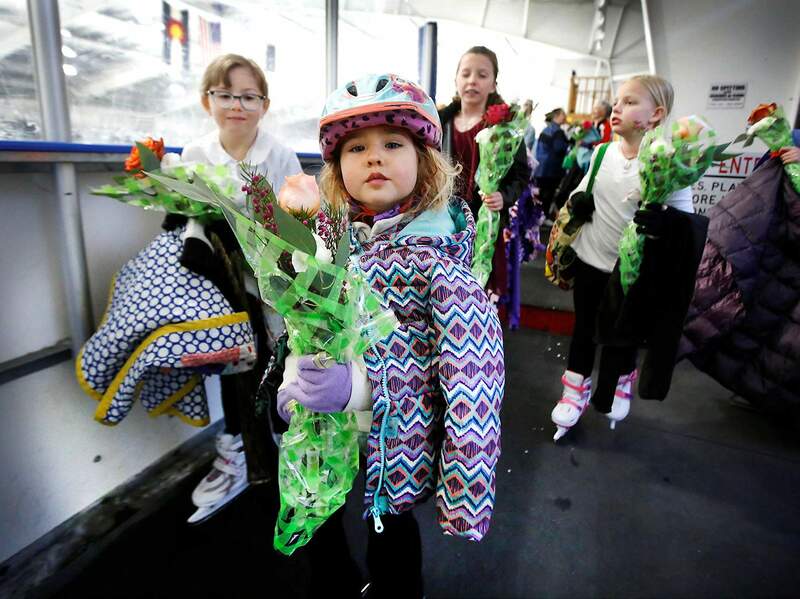 Emma Nesbit, 4, carries her flowers after performing Thursday evening at the spring ice skating show at Chapman Hill Ice Rink. However, coaches are interested in fostering more growth and would like to eventually start a figure skating club to expand opportunities for athletes. A new club would depend on recruiting new athletes through the city’s Learn to Skate program. “It’s just growing the grass roots of the program,” said Ali Smith-Wegrzyn, a new coach in town who competed at a national level. A club is necessary to allow skaters to participate in U.S. Figure Skating tests and compete in official U.S. Figure Skating events, Wells said. Miller Middle School student Sofia Naffziger, 12, has been skating for seven years and participated in the last figure skating club in Durango. She has stuck with her sport despite years when interest in it was low because of “how fun it is to learn new tricks,” she said. 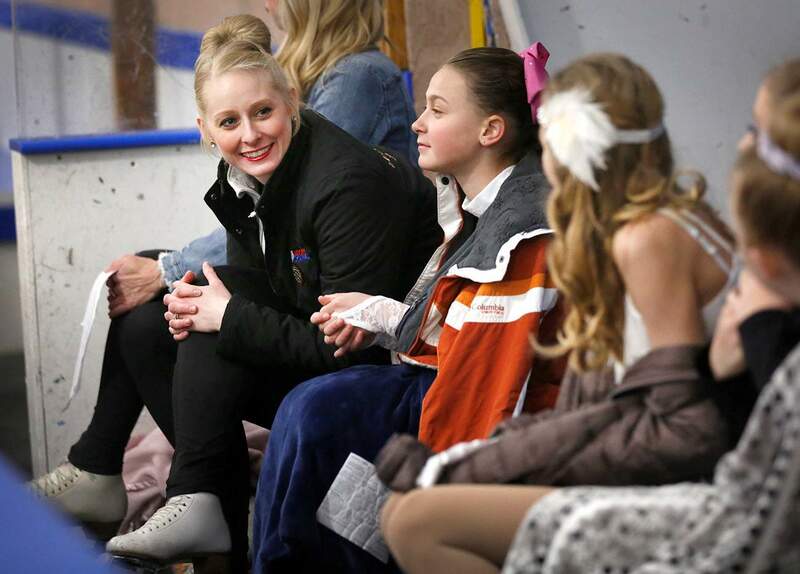 Coach Ali Smith-Wegrzyn talks with skaters Thursday evening during at the spring ice skating show at Chapman Hill Ice Rink. She would like to see a re-established club draw in more skaters and hold more events. Some skaters would also like to have a year-round ice arena that would allow them to practice in the summer. Two athletes travel to New Mexico to skate year-round and it’s made a difference in their skills, said Madison Roberts, a Durango High School student. “I think it would be really cool if we could have the same opportunities,” she said. 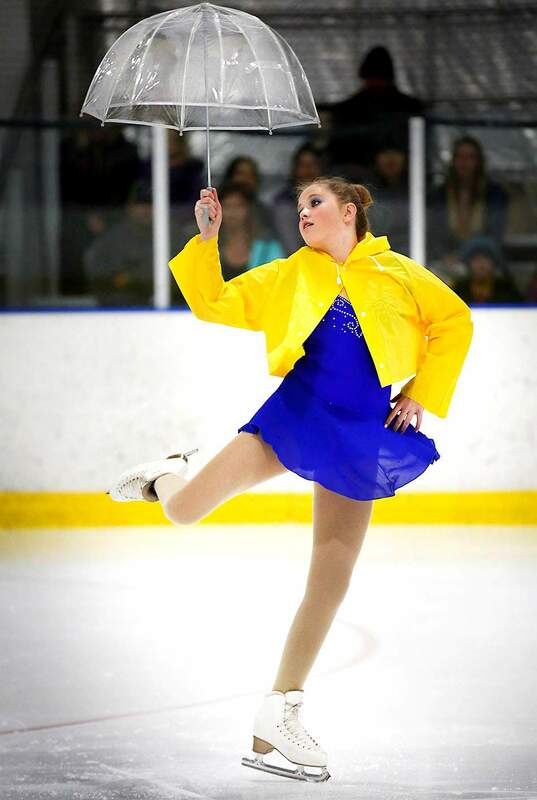 Sofia Naffziger, 12, skates to the song “Singing in the Rain” on Thursday evening during the spring ice skating show at Chapman Hill Ice Rink.